Finding a reliable source for belts for your vintage turntable is sometimes challenging. I sell replacement belts for AR turntables that I have thoroughly tested. They are available on my Upgrade/Replacement Parts page. 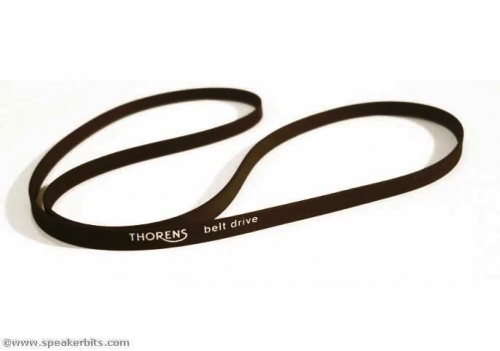 For Thorens genuine turntable belts with logo (as shown above), I sell those in my eBay store. 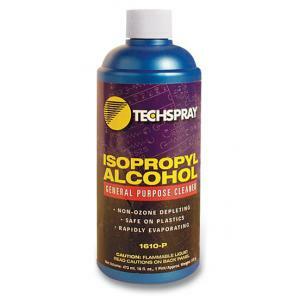 As I point out in the tuneup video on the do-it-yourself page, it is very important to use anhydrous isopropyl alcohol when cleaning the metal parts of your turntable. Using something from your medicine cabinet, it will likely contain water, and why would you attempt to clean your bearing well only to contaminate it? Tech Spray, in the picture above, sells a pint sized bottle of what you need. (There are other makers.) As it states on the label, it is also safe on plastics. When I was at the point where I was still trying to substantially increase my LP collection, every Saturday, from spring through fall, I would head off early in the morning and visit yard sales. I called it “yard-saling.” I had pretty good luck over a number of years. Of course, I waded through my share of absolutely terrible titles. However, I also had some terrific takes. For those who are still in the collection phase, I highly recommend yard sales. Most people these days, advertise on Craigslist…so the process begins the night before deciding which sales to visit, and deciding on a route. ( Boy, how I wish I had a GPS in those days!) For me, I pretty much visited every yard sale in my vicinity, say in a perimeter of up to 10 miles. I would start very early in the morning, and my first stop would be the yard sale furthest away that started the earliest. From there, I would work my way home… again, visiting the sales that started earliest first. My number one tip to yard sales success is related to the Columbo picture and quote above. For those who don’t know the Columbo character, he was known for always leaving the scene and coming back with the comment, nonchalantly, “Oh, just one more thing….” Though it seemed like he was a bumblehead, that question when he returned was often the most important question. In terms of yard sales, I would always always always ask the homeowner if they had any LPs they were thinking of getting rid of. I would always word it that way: thinking of getting rid of. I would wait and asked the question at a point when the homeowner was not busy with a sale or with set up. I would always be dressed neatly and appear very friendly when I asked. These last two points are important, because in four or five cases over my years of yard-saling, homeowners actually allowed me into their homes to see their album collections. The few times that asking that question worked, were among my most lucrative finds. You will get dozens and dozens of no answers, but the day you are the first to peruse someone’s album collection makes it all worth it. Good luck! When I started playing vinyl seriously, we all pre-cleaned our records before playing with a Discwasher brush and possibly some fluid. 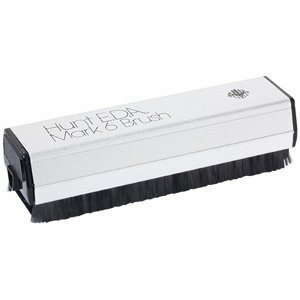 These days, the more common method is to use a carbon fiber brush. (I use the model available by Hunt, pictured above.) The carbon fiber brush doesn’t replace a proper cleaning of your LP, it is just intended to clean off excess dust before a play. I use mine religiously before each side.